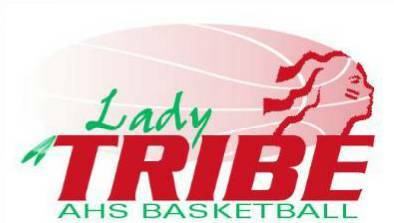 REMINDER:Lady Tribe Spring conditioning starts back up Monday March 21st and Wednesday March 23rd 6PM to 8PM at Anderson High School in the main gym. ANDERSON, Ind. — Faith and hard work. That’s the magic combination former Anderson High School star Jasmine McGhee said has transformed her into the best junior college women’s basketball player in the nation. The Women’s Basketball Coaches Association announced Tuesday that McGhee has been named the State Farm/WBCA Junior College/Community College Player of the Year. The Vincennes University sophomore will be honored during the NCAA Women’s Final Four next month in Indianapolis. McGhee led the Lady Trailblazers to a 27-2 record this season and the No. 2 ranking in the final NJCAA poll. She scored 19 points and pulled down nine rebounds Tuesday night in a 91-66 victory against Wallace State (Ala.) in the first round of the NJCAA National Champoionship Tournament in Salinas, Kan.
McGhee led Vincennes this season in scoring (16.8 points per game) and rebounding (9.6). The Lady Trailblazers were scheduled to play Northern Oklahoma in the second round Tuesday night. The game was not completed in time for this edition. McGhee went to Vincennes with hopes of earning an NCAA Div. I scholarship. That goal also has been achieved this year. She’s made a verbal commitment to play next winter at Indiana University. McGhee said she’ll likely sit down and talk with her cousin Gary, a starter for Pitt’s No. 1-seeded men’s basketball team, sometime before she moves to Bloomington next fall. “I look up to my big cousin,” she said. But first, all of her focus is on the NJCAA tournament in Kansas. The Lady Trailblazers have an opportunity to bring home a national championship, and that’s not something McGhee is taking for granted.